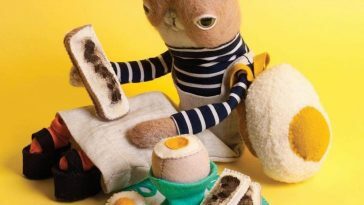 When you think of cuddly packed animals produced from textiles, the top nominees would apparently include teddy bears or bunny rabbits. 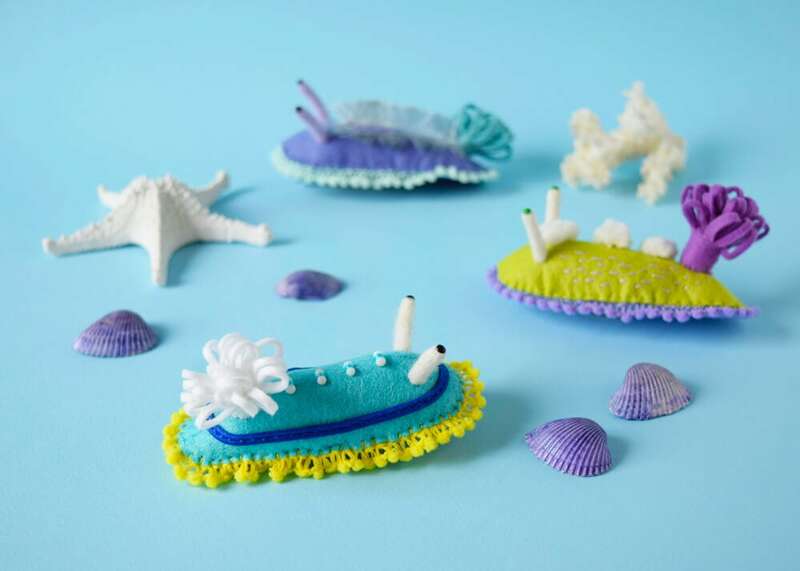 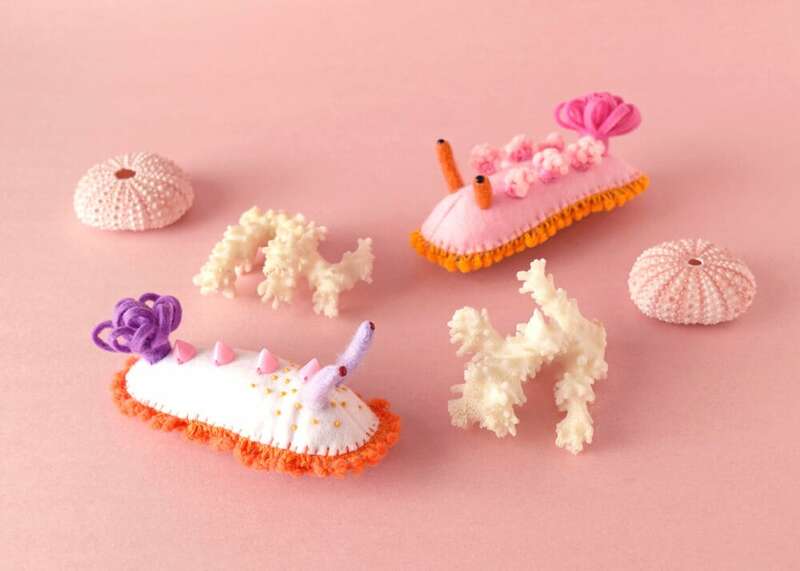 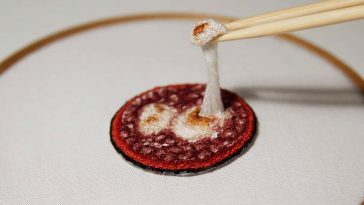 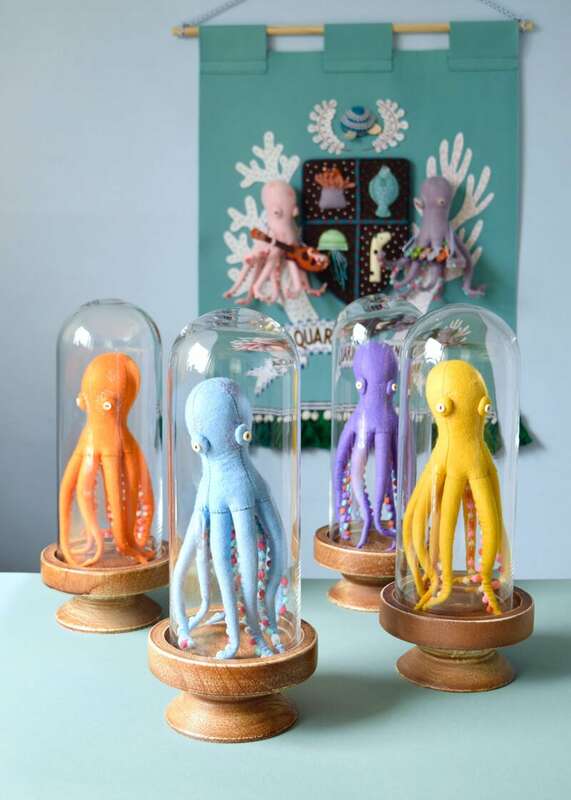 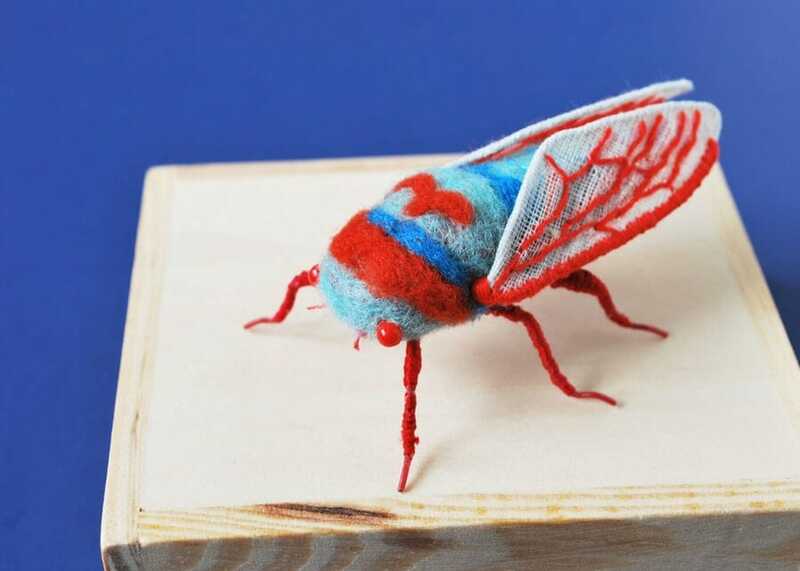 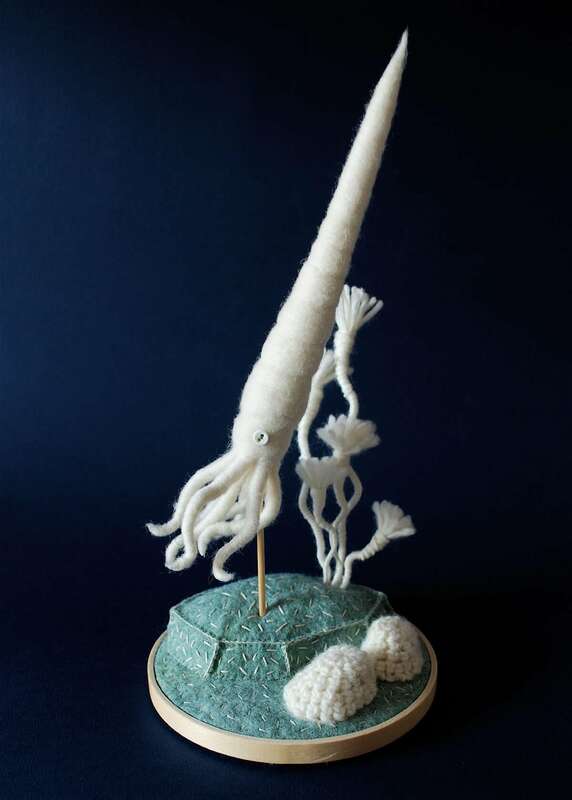 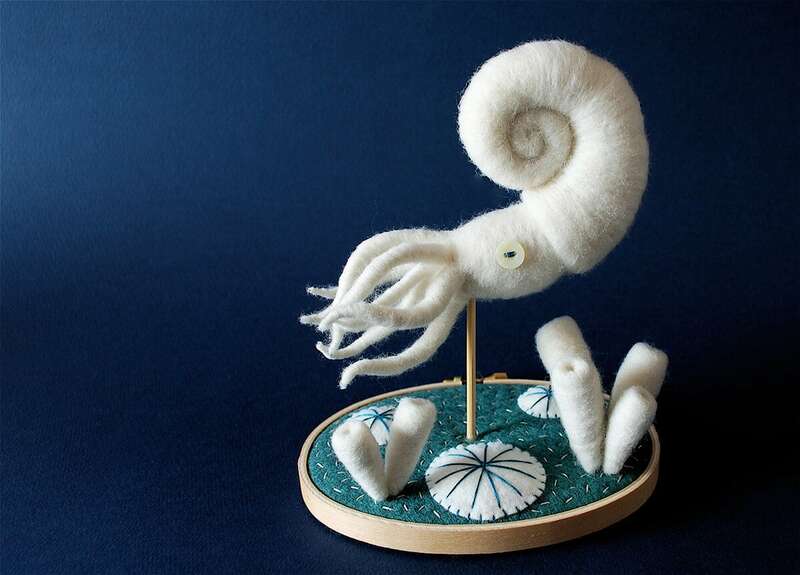 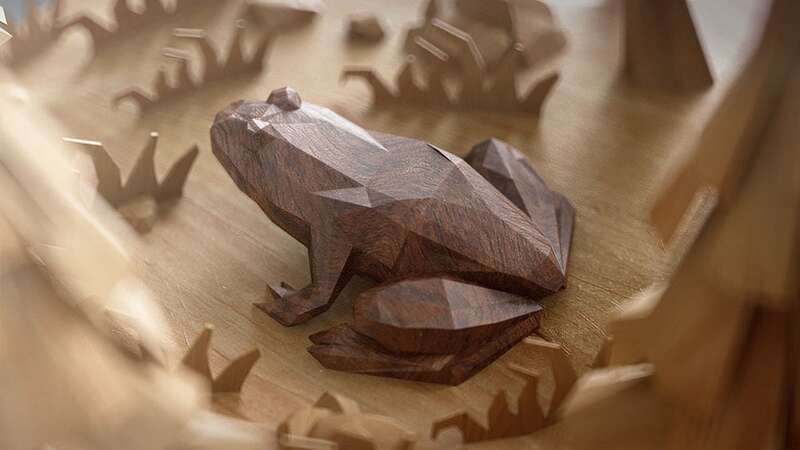 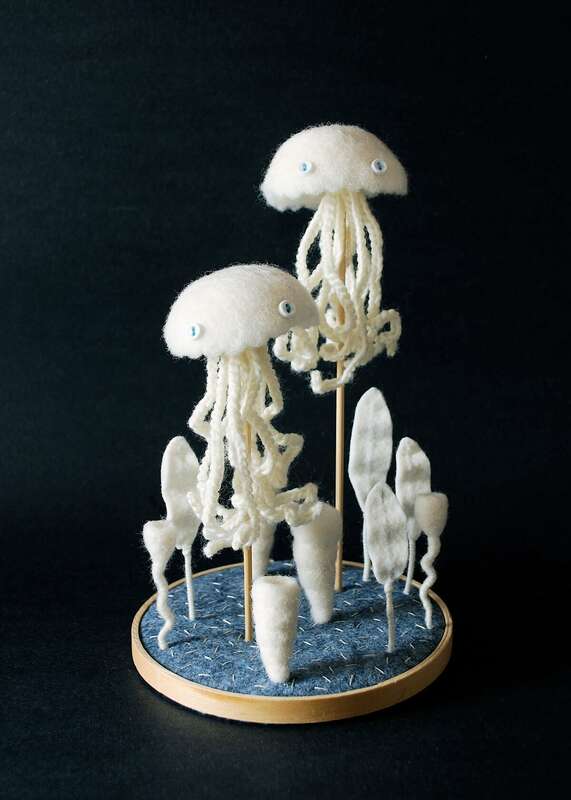 Possibly lower on the list would be squids, cicadas, and sea slugs, and yet Vancouver-based artist Hine Mizushima has chosen these wonderful creatures as the subjects of her violently popular hand-crafted felt toys. 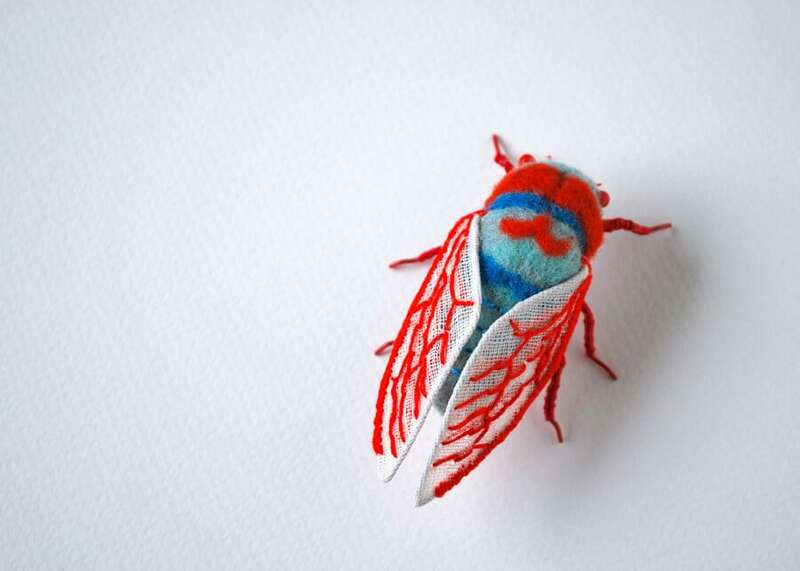 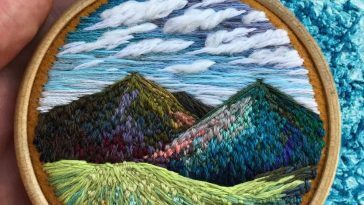 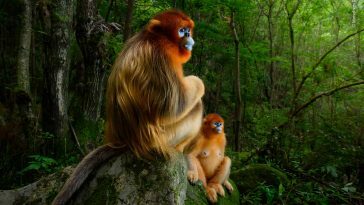 Her one-of-a-kind plush critters have been exhibited in galleries around the world, and she’s turned many of them into prints which she sells on Society6.